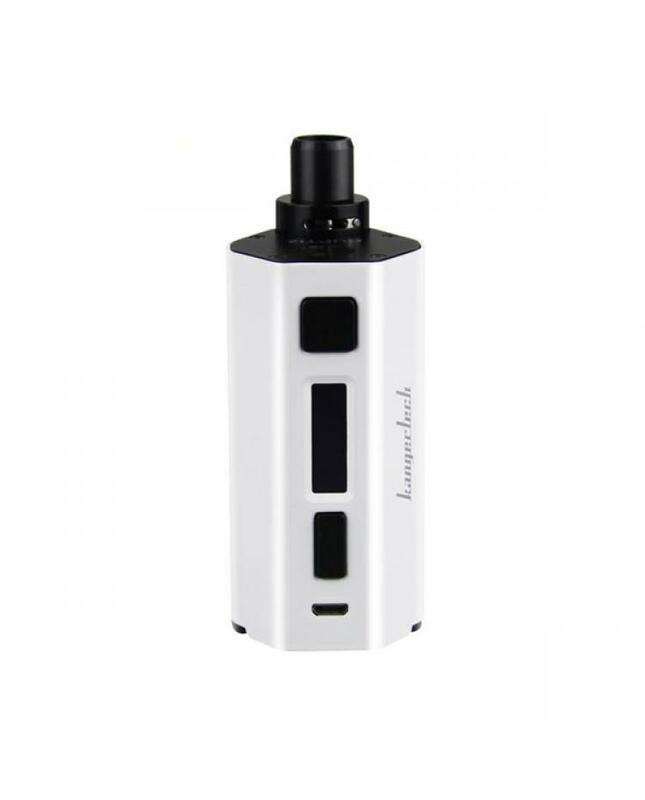 kangertech cupti 2 is the upgraded version, same colors avaliable, black, silver and white, made of zinc alloy and al alloy, same all on one design like kanger cupti, can hold 5ml e juice, max output 80watts, support resistance as low as 0.1ohm, CLOCC ss316l 0.5ohm coil, CLOCC Nicr 1.5ohm coil and CLRBA core avaliable, powered by 2pcs 18650 batteries, with micro USB port,can charge your batteries directly. 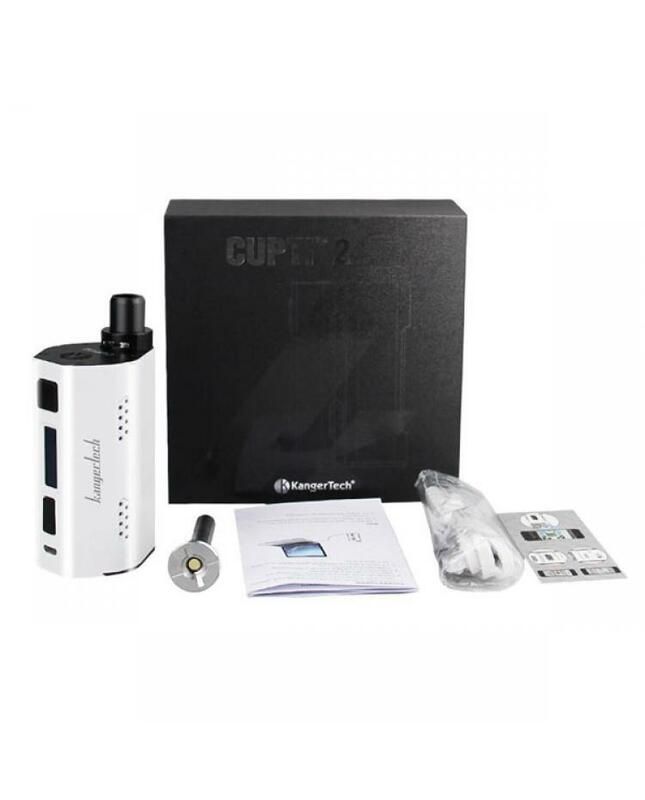 cupti 2 vape kit support NI200, TI, SS coils under temp control mode. 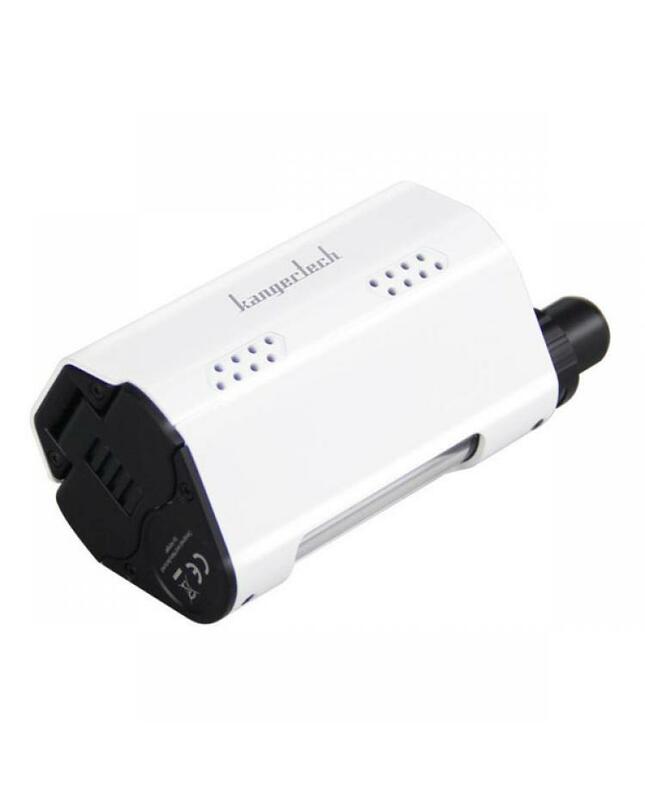 with adjustable airflow valve located right under the mouthpiece for maximum airflow.firmware upgradeable.